This surgery was set up in 1982 by Mark Nelson when he was working with his father Michael Nelson who had set up the surgery in Pampisford Road, South Croydon in 1976. The surgery has been updated and refurbished several times since those humble beginnings in an old corner shop! 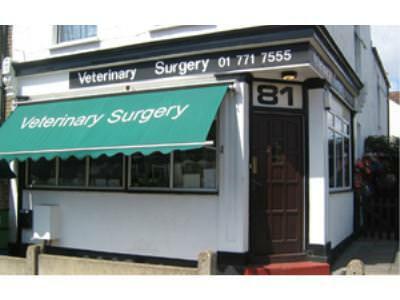 It is now a fully air conditioned, well equipped, modern premises suitable for todays advanced Veterinary Practice. The consulting hours are listed below. If you wish to speak to the office staff, make an appointment, or have a non-emergency question for one of the vets please call during these hours. There is emergency 24 hour cover when the surgery is closed. The clinic is 200 metres North of the Odean Cinema on the same side of the road, ie Right side as you are heading North. Apart from these days, the surgery is open as normal.